The International Alumni Network is maintained and coordinated by Tempus Public Foundation in the framework of the Campus Mundi Programme. 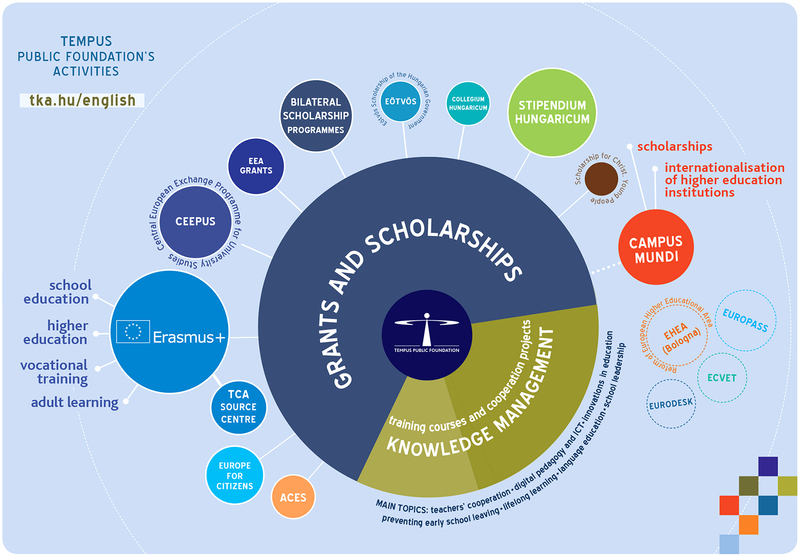 The purpose of the Campus Mundi programme on the one hand is to promote international mobility of students, on the other hand, to support the internationalization of Hungarian higher education institutes. By strengthening the international reputation of Hungarian higher education institutions, the project contributes to the Hungarian Government's goal of increasing the number of foreign students arriving to Hungary from 25 000 to 40 000 until 2021. The Alumni Hungary Network is aimed at setting up and maintaining contact with full-time and part-time foreign students graduated from any Hungarian higher education institutions in order to strengthen professional, scientific, economic and political relations with them. Therefore Tempus Public Foundation follows the career path of foreign students after completing their studies in Hungary. It is important for us that former foreign students of Hungary keep their good impressions about the country, continue promoting Hungary and Hungarian higher education as well as strengthen bilateral business, scientific, cultural and diplomatic ties. The Tempus Public Foundation is cooperating with selected international alumni volunteers as well. Volunteers contribute to the work of the network with various activities including sharing their personal experiences gained during their studies in Hungary, writing blogs or providing assistance at the Hungarian stand to promote Hungarian higher education by providing first-hand experience at international education fairs. Volunteers can help with recruiting prospective students preparing to study in Hungary and assisting as mentors. They arrange alumni meetings in their country of origin and facilitate the development of self-organising local alumni networks. We select alumni volunteers for the required tasks through an application process and sign a volunteer agreement with every chosen volunteer. They receive training and we provide them continuous personal feedback about their volunteer performance. We also support Hungarian higher education institutions in the development of international alumni activities at an institutional level. The goal of cooperation with alumni offices of higher education institutions is to support their alumni activities in relation to foreign students, in particular through trainings, inviting foreign lecturers and sharing case studies, according to the staff’s needs.